Corker hit back at Trump. Now Trump is back for more. The Failing @nytimes set Liddle’ Bob Corker up by recording his conversation. Was made to sound a fool, and that’s what I am dealing with!,” tweeted President Trump. President Trump has reached the inevitable name-calling stage of his feud with Senator Bob Corker. 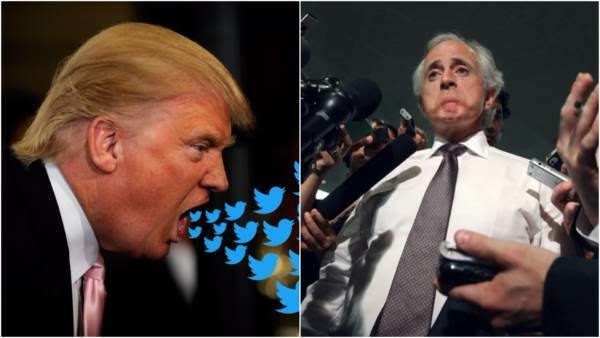 Trump’s new tweet refers to the audio released last night where Corker spoke to The New York Times about how the president is leading America towards World War III. Contrary to Trump’s tweeted claim, Corker’s interview was recorded with his consent, and his team kept a recording for themselves as well.